July is a wonderful time of year. As a child, it is a month full of promise and the chance for adventures over the summer holidays. The opportunity to get outdoors and play in the sunshine and fresh air. As an adult, July holds the expectation of summer trips and the prospect of relaxing on long, balmy summer evenings. Fresh summer foods start making their way into our kitchens and on to our plates. Who doesn’t love a cool, crisp salad or a sweet, juicy strawberry? They are the very taste of summertime. The seaside is another indication that July is here. Even if the sea is still a little nippy, you will see many of us venturing in to have a paddle, straw sun hat in tow. 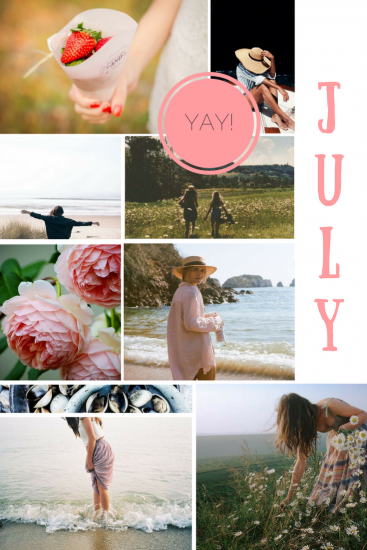 These are just some of our favourite July moments. What are yours?